One day, I received a gift bag from someone I didn’t know. This isn’t something happens normally so I was a bit apprehensive when I stared at it for about 5 minutes. A few of my co-workers received the same gift bag so immediately, we linked up to see what was inside. 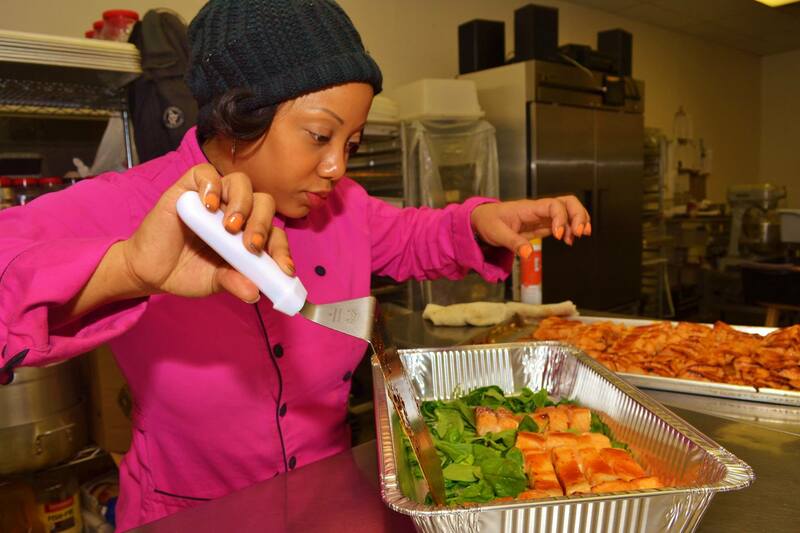 There were 5 prepared meals; a gift from Felicia Covel of Xquisite Catering LLC. There was a note thanking us for our support and wishing us a week of enjoyment. If you’re planning a wedding reception, picnic, romantic meal, or whatever, you’re gonna have to contact Xquisite and set it up! It’ll be one investment you wouldn’t regret! 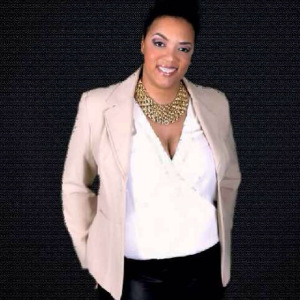 I had to sit down with the CEO, Felicia Covel, to find out how she does it: family, business, social life, EVERYTHING! Why did you decide catering as your career? I chose catering because I have always loved to cook. I have been cooking since I was 5 years old at home. 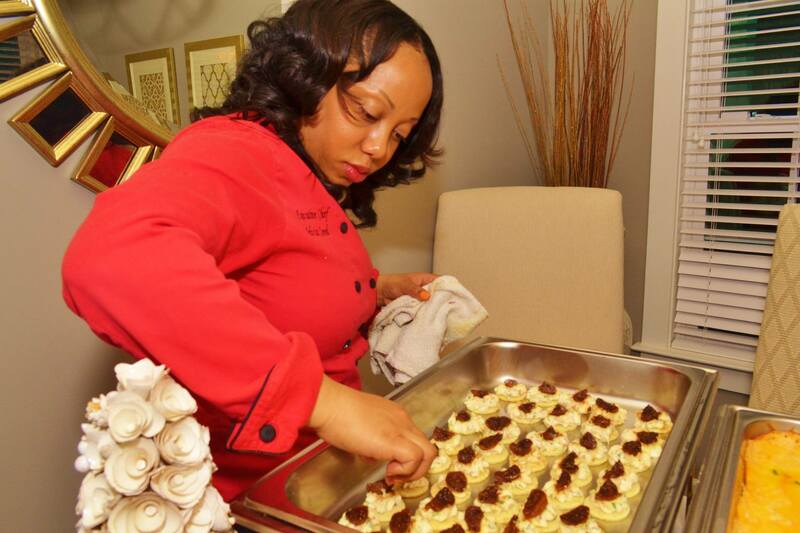 I bounced around from restaurants to assistant living homes until one day I landed a job as a local caterer. That’s where I fell in love. It was the excitement of going out to a beautiful venue, transforming the space, serving the guest at an event. Every event was different and every event left me excited to do the next one. What was the first time you realized you could do this for a living? It was while working at that local catering company where I realized I could be a business owner of a catering company. I met some great people and learned a lot while working there. 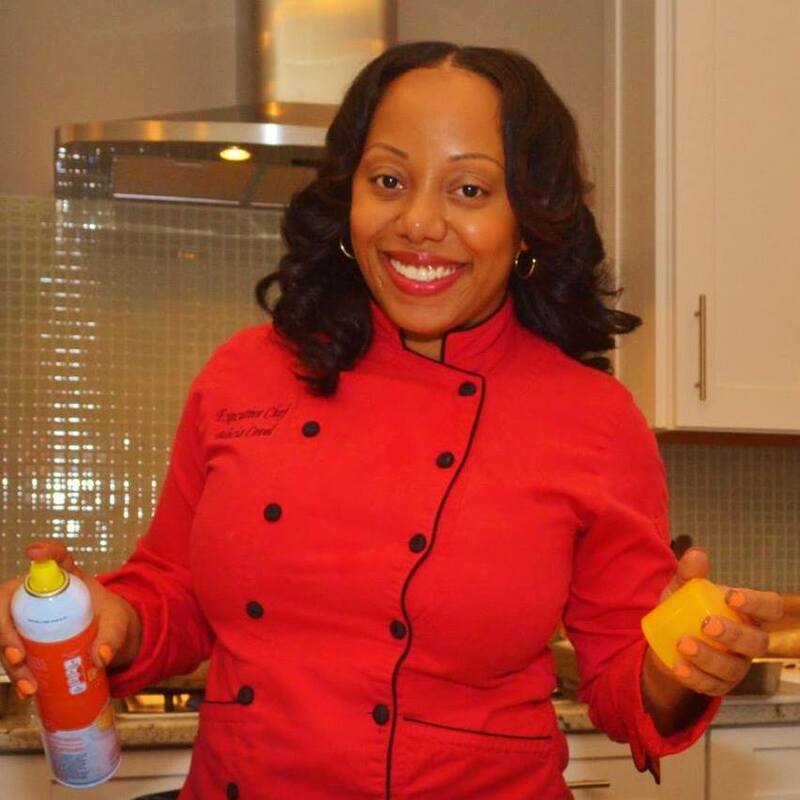 I went from prepping in the kitchen to lead chef for events, it was then I gained experience & confidence that I could do this on my own. What makes you happy about doing what you do? I love meeting new clients; listening to their vision and making it come to life and being part of their memory by giving them great food. I am very happy when I’m in the kitchen, when I am preparing for an event. We work such long hours but in the end it’s all worth it when the client is happy. 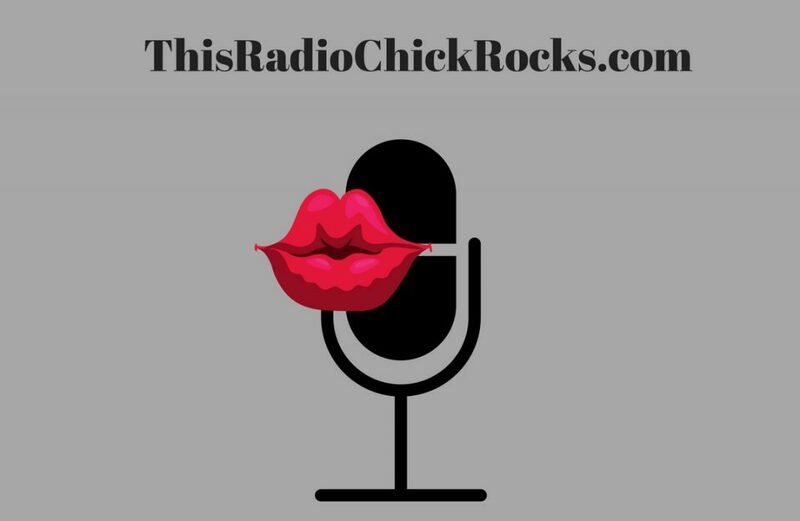 Who do you follow in this industry and why? I follow everyone in local area (chef’s, restaurants, and carry-outs); I like to know what our local competition is doing and also support them as well. We have to stay up on the new trends and ideas to bring them here and continue to inspire me. I love to also follow caterers in major cities like New York, Miami, Chicago and L.A. to name a few. What is the most challenging dish you ever made? It would have to be the dish I made recently. A couple wanted to incorporate a few Caribbean dishes into their wedding reception. They wanted Red Stew & Jollof Rice. (Sounds easy right? Lol). I have never cooked this a day in my life before. It wasn’t difficult for me to prepare; the challenging part for me was not knowing what it should taste like but to also make it taste good. I was sooo nervous! I prepared it and it came out amazing. I’m not sure if it tasted like authentic Caribbean Red Stew but it was the best stew I’ve ever had. Needless to say, the couple loved it. What won’t you ever make, regardless of the request? I don’t think I will ever deny a request. Any challenge just tests my skills as Executive Chef and keeps me sharp in all areas. Also in the catering industry what you won’t/can’t make another chef will. I never want to turn a client away. I can always try and I may surprise myself and the clients. (Can I be honest for all business owners here? )….I would say when we have difficult clients i.e. clients that say that they know what that want with “no budget” and then when time comes after we have given them exactly what they wanted, they say “no” because of the price. But what they fail to realize is we can work with whatever your number is, it’s a help me to help you situation; you have to be honest with yourself and me because you are wasting time which can be spent on figuring things out for you “honest budget”. What is the biggest misconception about doing what you do? The biggest misconception is that it’s EASY. It is far from easy; it takes long days and nights. It takes dedication, hard work, and mental toughness, patience & teamwork. There have been nights where I and my team haven’t slept because we were prepping all night and went straight to the event in the morning and to another event after that. dealing with the elements of the weather seasons; grueling hot summer days to cold winter days which everyone is not good dealing with. Don’t get me wrong, MY TEAM & I LOVE WHAT WE DO so nothing matter’s ; sleep, being tired, cold weather, hot weather. When people order or request your services, what is the take away? My goal that they take with them is great memories. We work hard to make sure our clients and their guest experience a night they will not forget. From the food and service to ambiance we create. That’s Xquisite Catering’s guarantee when we cater the event will be a night to remember. Who would you love to cater for and why? 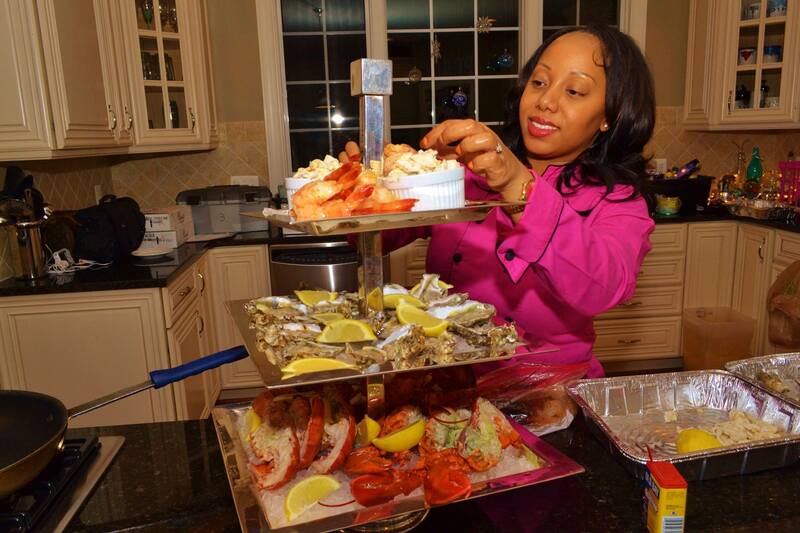 I would love a chance to cater for a politician from Maryland (Mayor Or Governor). I would love to get into that circle to get city-wide exposure. Every caterer has catered one event that took their business to the next level, I believe catering for one would do that for Xquisite and I know that our time is coming in due time. 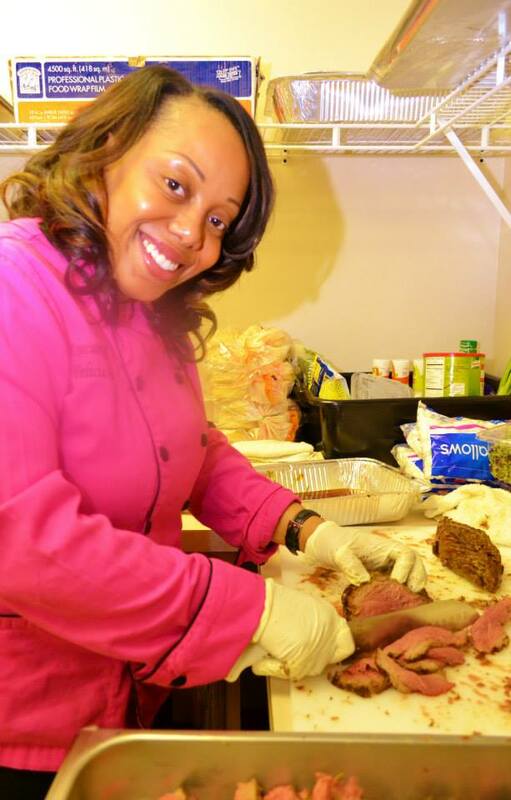 What do you want the Baltimore community to know about Xquisite Catering? 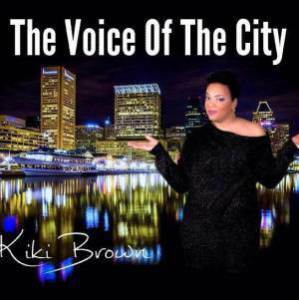 I would like for Baltimore to know how hard Xquisite worked to get where we are and how hard we will continue to work. We put everything we have into each and every event that we cater, no matter how big or small. Every client is treated with the same respect and is given the same excellent customer service. We understand everyone can’t afford a $10k catered wedding ceremony and that is why we are willing to work with everyone (just like in the world you have to think about the middle class and average people it’s not about the high class all the time). Everyone deserves the same great quality no matter their budget which we are big on. We have wedding reception packages for every budget. We have come a long way in the past 3 years and we continue to grow with each event that we cater. It’s tough competing with the well-known companies that have been around for years but we are here to stay! 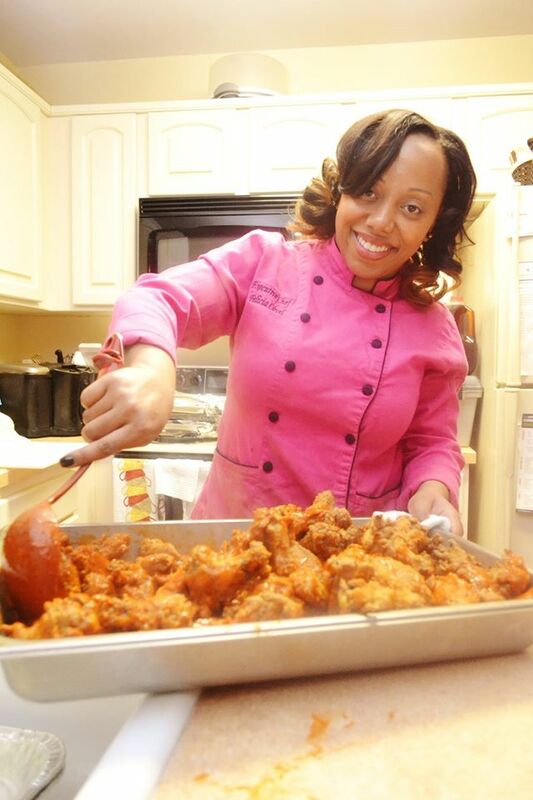 We want to become a household name, we want everyone to know about Xquisite Catering LLC. I believe that our city will continue to support us and help us become one of the largest catering companies in Baltimore. Having a small business in this time is pretty difficult to do for most people. What is your secret to longevity? My secret is simple….HARD WORK! You have to be willing to put every ounce of energy you have into your work & making the client’s happy. It’s my name that is on the line every event. whether it’s a full service or a drop-off event, I put everything I have into every event and I think it shows. our clients see that and appreciate it. Hard work goes a long way into and it definitely pays off. 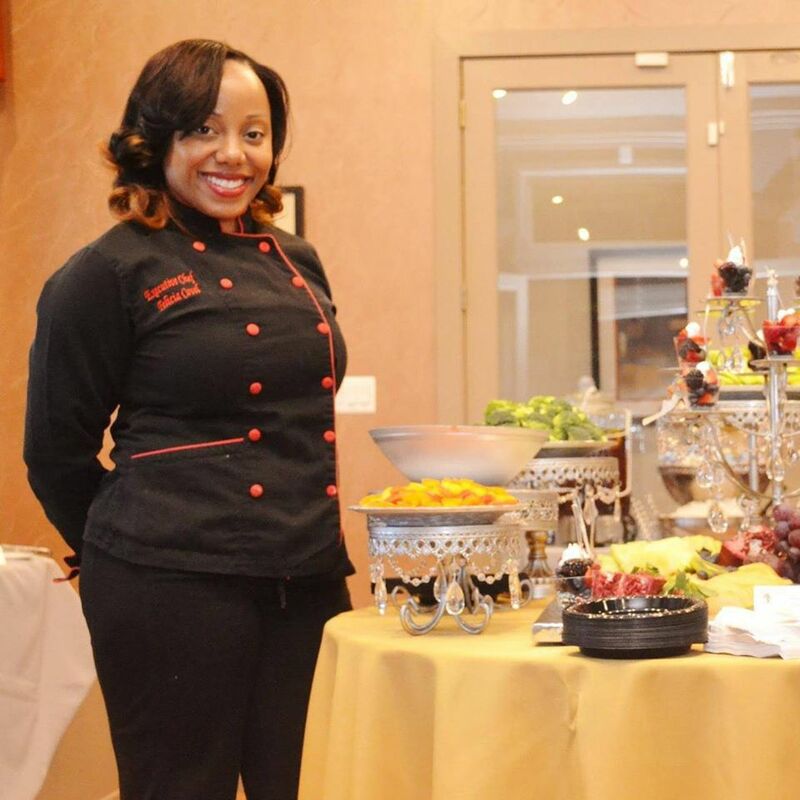 Where do you see Xquisite Catering in the next 5-10 years? My partner/ Fiancé Sunil and I would love to have our own facility/venue . I can’t wait until the say I own my own venue. I can picture it so clearly in my head. (Huge kitchen & chandeliers at the entrance, maybe a fountain) In my head it’s beautiful. 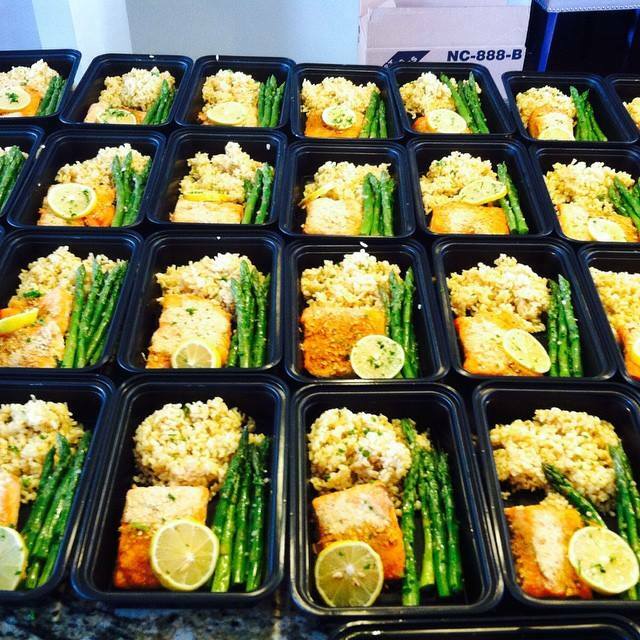 If you didn’t cater, what would you be doing? Honestly I can’t imagine doing anything else. This is where I belong, no second-guessing that, I love what I do! One event you’ll never cater is what? Why? That’s a tough one but it would just have to be an event or situation that would go against our beliefs, something that would tarnish Xquisite Catering LLC and me. We have worked hard to build an image of Xquisite and as you know it’s easy to lose that but sometimes you have to pass on things in life for the greater good.